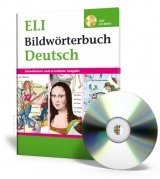 The series Das Lesevergnügen bei ELI is adressed to students between the ages of 11 and 15. Carefully graded by level, from elementary to intermediate, the series contains different types of narration, from puzzle solving to teen fiction and role-play. Each volume contains games and activities. more..